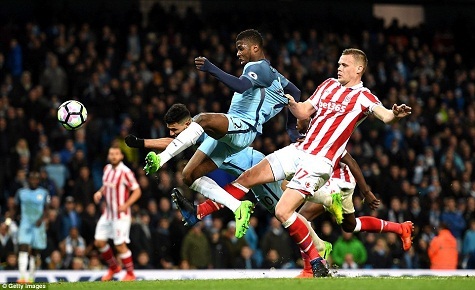 Super Eagles forward, Kelechi Iheanacho has vehemently confirmed that he remains a Manchester City player despite reports that he’s surplus to requirement. Iheanacho who is in the Super Eagles camp in France ahead of today’s international friendly match against Corsica, said that he’s already focusing on working for the Citizens ahead of next season’s campaign. “I’m not very aware of that,” the Nigerian is quoted by the Manchester Evening News.